Occasionally there are days when the floodgates open and all that you’ve managed to miss over the past few weeks swarms its way into the surging current. Today was one of those days. More than 30 great items materialized, spread across all of the usual formats (although the vast majority were single stream entries). Full streams found life via great records from Crosss (LO), Pinecones (Sings For You Now), Porcelain Raft (Half Awake), Hex Dispensers (III), and Flesh World (The Wild Animals In My Life). Music videos had a strong year sustained with a fascinating crop of new clips that ranged from tongue-in-cheek (Mikal Cronin’s “Say“) to the epic sprawl found in Yak’s “Smile/Distortion“. The list of stunners in between included the following: Django Django’s “Shake and Tremble“, Elacampane’s “Out of Control“, Swiftumz’s “Take The Gray“, Toby Goodshank’s “Baby I Feel Like I Just Got Cut In Half“, Blue Smiley’s “Warn“, and Karen Meat & The Computer’s “Pizza & Beer“. For the full songs, things picked up considerably and produced a particularly fierce onslaught of new material. That being the case, they’ll simply be listed and linked. All of these deserve so much more than just those direct mentions but this time around, there are simply too many. If anything, that should serve as strong evidence of 2015’s continued kindness. To wit: Daddy Issue’s “The Bruise“, Dead Stars’ “Calm Punk“, C-Duncan’s “Garden“, Little Racer’s “Jack Knife“, Mammut’s “Blood Burst“, Kid Wave’s “Honey“, Wing Dam’s “House Boat“, The Good Life’s “Everybody“, PINS’ “Molly“, Girlpool’s “Cherry Picking“, Angelo De Augustine “If I Could Fly“, Two Inch Astronaut’s cover of Taylor Swift’s “Fifteen“, Zachary Cale’s “Sundowner“, Dog Party’s “Sapphires“, Ecstatic Visions’ “Astral Plane“, Oberhofer’s “Memory Remains“, Sorority Noise’s “Nolsey“, No Joy’s “Hollywood Teeth“, The Cairo Gang’s “Ice Fishing“, and EZTV’s “Trampoline“. 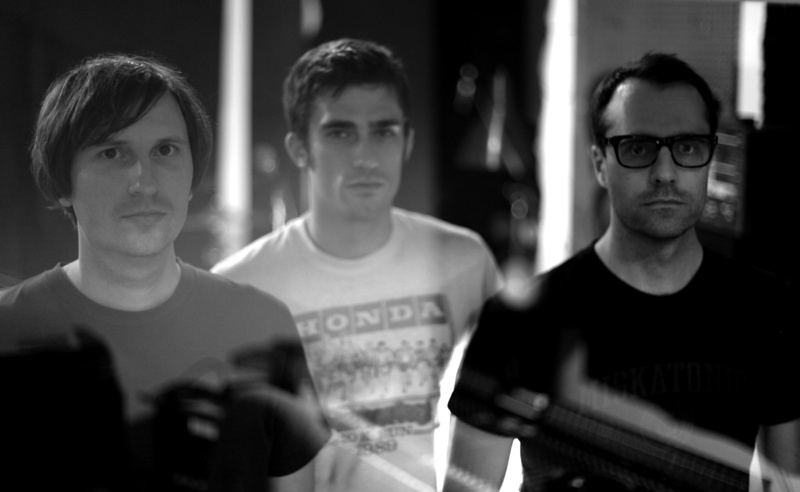 There was also the return of Radioactivity that took the shape in the form of the fiery “I Know”. One of the first posts to ever run on this site was a review of Radioactivity’s incredible self-titled debut, which was easily one of 2013’s best records. Radioactivity felt like a continuation of The Marked Men’s Fix My Brain, an indisputable genre classic from The Marked Men, the band that mostly comprises Radioactivity. Two years later, the band’s back in full swing and has “I Know” to lead their charge. Much like Fix My Brain and Radioactivity, “I Know” is a snarling burst of pop-inflected basement punk. Guitarist/vocalist Jeff Burke continues to operate at an exceedingly high peak, offering one infectious melody after another. By the time “I Know” careens towards its finish, it’s almost as if Radioactivity never took their foot off the pedal after their debut, creating something as memorably urgent and accessible as each members’ finest outings. With June 30 only just around the corner, we’ve got some time to brace for impact- and it’s a recommended strategy- because Silent Kill is coming at full force and it’s not slowing down for anybody. Listen to “I Know” over at Billboard, who premiered the track, and pre-order Silent Kill from Dirtnap here.